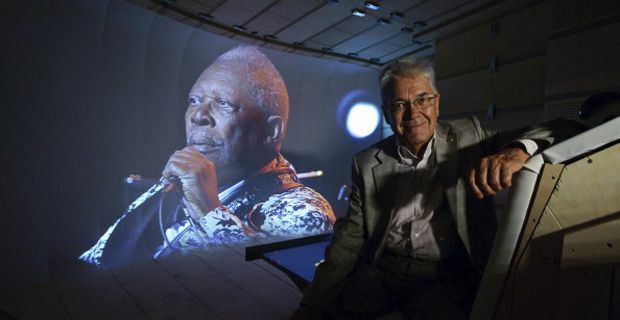 Claude Nobs, the founder of the Montreux Jazz Festival has died. The legendary Swiss impresario who started the festival nearly half a century ago and who will be forever known as ‘Funky Claude’ after Deep Purple immortalised him in ‘Smoke on the Water’ was injured in a recent skiing accident and finally succumbed after several weeks in a coma. "He died peacefully, surrounded by family and close friends," said a statement issued by the festival. Mathieu Jaton will have the Herculean task of replacing him as director. Nobs launched the summer festival on the shores of Lake Geneva in 1967 while working as an accountant at the Swiss resort's tourism office. He built it into an iconic event brimming with romance, creativity, integrity and style as he brought the leading lights of the musical world to the sleepy Swiss town. Last year's festival, the second biggest annual music festival in the world attracted about 250,000 people and featured the likes of Bob Dylan, Lana Del Rey and Hugh Laurie. Over the years it has featured an extraordinary number of spectacular artists while always maintaining a contemporary edge that kept it current and wonderfully dynamic as the sublime ambiance of the festivities unfolded. ”There are no words to express the deep sorrow and hollowness in my heart that comes with news of Claude Nobs' passing. Claude was a valued and trusted friend and brother to me for close to forty years, but he was a valued and trusted friend to jazz and the artists who create it for his entire lifetime. It would be that love and appreciation for our music and the musicians that created it that would lead him to take over the Montreux Jazz Festival, and build it into what I consider to be the Rolls Royce of music festivals." A musical tribute to the people of Montreux is planned for February as he wished, and that final swansong will be followed by events in New York and London this spring. The 47th festival will be taking place between 5-20 July July 5-20.